Japan’s Ippudo has renewed its uniform. The thought behind the apron? T-shirt, washcloth, bandana and apron. Making ramen in a kitchen full of steam and serving them to customers as soon as possible (not wasting even one second) is something that all ramen chefs stand by. After 31 years since its establishment, why is Ippudo now challenging this common practice? And, why was it ANREALAGE? We will find the answer by speaking to three key persons pushing forward the renewal project. Japan’s Ippudo that should change as they head towards the next 30 years. First of all, please tell my why Ippudo has decided to change its uniform for its domestic shop. We wanted to change our image. The image of a ramen shop. Wearing a T-shirt, washcloth around one’s head, wearing an apron with arms folded and staring at you (laugh). The image of a ramen shop staff is like that, isn’t it? Ippudo was like that too. We tried to change things in the past and although it looked cool, it was difficult to move about or did not breathe well or did not dry quickly, hence we have come back to this style. I was in charge of Ippudo New York from 2008 to 2015 and I have also launched other shops in various countries, but overseas ramen shops are also pretty much this style. You try to make the atmosphere the same as Japan as well as the taste so naturally it becomes that way. Ippudo in New York is a shop with many tables like a dining atmosphere rather than a ramen shop, so to differentiate, we had the uniform designed by ENGINEERED GARMENTS. The staff liked it and there was a strong feeling, like a gutsy feeling, that something new will be created from here. I was surprised by the news. It had a strong impact in the fashion industry as well. Our head office was in Kumamoto so we new about Ippudo of course and I fully understand the reasoning behind the uniform and its attention to detail. Thank you very much. After that, I returned to Japan as the chief of Ippudo Japan in 2015, which happened to be the 30th year since our establishment. The number of shops have doubled in the seven years that I have been away overseas. I have been talking with the founder, Mr. Kawahara, about expressing Ippudo-ness that has not changed since its establishment in a new way and the uniform was part of that. Ramen shops all over the world are becoming similar. It’s about time we changed things in Japan. Part-time staff also asked, “When is the uniform going to change?” (Laugh). And then I met Mr. Kawano. It was an interesting company name, and oh, the company was located in Kumamoto? (Laugh). We are a Fukuoka company so the fact that they were changing how clothes are made in Japan from Kumamoto which is located in Kyushu as well really appealed to us. When I first met Mr. Shimazu, I remember him as a man who was really looking at Ipppudo objectively. You said that you wanted to shock the world from Japan and that you wanted to do something nobody has done before. I have met many people from Ippudo and you, Mr. Shimazu, also have big vision and can see things nobody else can. I think an organization that brings about these types of people are fantastic. 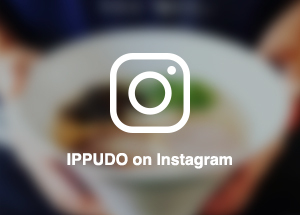 To this day people love ramen and ramen shops are getting a lot of attention but Ippudo is slightly in a different position, isn’t it? Like creating different style of shops for each region, modern interior and vibrant staff. Also, the spirit of serving free ramen to celebrate your 30th anniversary. As a business we are succeeding but still we continue to try, and surprise people and the issue was how to express that in our uniform. That was the key. I was impressed by the uniform of our New York and Paris shops and when you think of Ippudo there was this image of “a cool ramen shop” so what I thought was required was “the next stage from being cool”. Just around that time, I happened to work with Mr. Morinaga of ANREALAGE and I felt that ANREALAGE which proactively utilizes the latest technologies should be able to create an interesting chemical reaction in the pursuit of Ippudo moving to the next stage. It is hard to imagine a ramen shop and ANREALAGE collaborating. That may be so. Mr. Shimazu yourself said that it was a “Striking suggestion”. But I felt that Mr. Morinaga who comes up with unusual ideas and notices the smallest of changes and utilizes them to make clothes would definitely be a perfect match for Ippudo. Many people may have an image of vanguard and extraordinary when they think of ANREALAGE, but it does not end only in outlandish appearance because they bring about their concept from essence that is deep within, by meticulously observing daily occurrences and the passing of time. I was sure that with Ippudo, that is not restricted to common sense, a uniform “going beyond cool” would be created. You said that the uniform you created this time was based on an apron yet able to wear it the way you want. Please tell me about how that came about and what items you have incorporated. 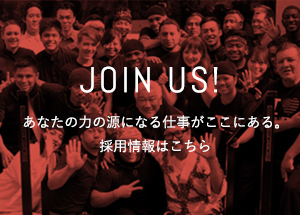 Ippudo has about 20 to 40 part-time staff per shop with a couple of full-time employees and a manager. For 30 years the style was wearing a T-shirt with either a bandana or towel wrapped around your head and an apron. After having approximately 2,000 staff answer a questionnaire, those who answered, “I would like the uniform changed” far outweighed that of “I like the current uniform”. Many said, “It lacks character”, “Old fashioned” and “I don’t like the bandana” and so I thought I had to change it. While aiming for a ramen shop which even women can easily enter, to have your female staff hate the uniform is a bit contradictory. Looking at your staff in that way, they were all trying to individualize how they wore their uniform. For example, by changing the length of the apron, by wearing a T-shirt from Ippudo shop overseas or made exclusively for an event and by changing the way they placed their pen in their pocket. Mr. Shimazu told us that he wanted a uniform that when you saw it you knew straight away that it was different and one that anyone would look cool wearing, so he wanted everyone to wear an apron. He also wanted it so that it could be worn both ways by hanging it from your neck and also by wrapping it around your waist. He also wanted a different top for the full-time employees and the manager. I had a renewed sense of how important this project was after hearing that he wanted the uniform that would make the part-time staff want to keep continue working at Ippudo because they would want to wear what the full-time employees and the manager was wearing. The idea that if you had various types of caps available and have the staff choose it, that would allow them to show their personality, came at the latter part of the project. I have heard that in all the fabrics there was a special gimmick done to it, but how did this idea come about? People from Ippudo have told me various things and I also went to an Ippudo ramen shop and observed the kitchen, the dining area and how the staff moved around. It is a uniform, so ease of moving, being light and toughness are all expected and on top of that we created our original design. I am always conscious of “things that change in our daily lives”, but I was watching inside Ippudo’s shop wondering what is changing here and I thought that the distance between the customers and staff is always changing. When customers come in, when they sit down, when staff come to take their order. I wanted to incorporate “the change in distance between people” as situations change, into the design. It’s interesting that you paid attention to that particular aspect. Normally you would think nothing of it (laugh). Then I printed on to the fabric Ippudo’s philosophy of “continue to change so as not to change” using a special program and I wanted to make it so that if you come near it you can see the “風” (Wind) pattern and if you look from afar you can see the philosophy emerging. With the thought of “Wanting new wind being created inside the shop” by the change in distance between people. When I heard that idea, I was surprised and thought “Wow!”. To incorporate change in distance into a design, now that is a unique idea! Even more so, what a cool idea of having Ippudo’s philosophy but getting closer you can see the “風” (Wind) pattern written on it! (Laugh). The concept is out of this world, it is fantastic. What is it that ANREALAGE puts importance on when it is designing clothes which forms the basis of their concept. What is deeply rooted is “To give a momentary shock in our daily lives”. When it comes to making clothes, I am obsessed. In the first place, I believe that clothes are something that change according to various situations and its surroundings. In that sense, I wanted to incorporate into the design the significance of the clothes in an Ippudo shop and the phenomenon that can only occur there. Shock the everyday occurrence, change the mood in a ramen shop with clothes, now that is pure excitement. see. Eating out is unusual and in contrast, the usual is your meal that you have in your home. Our founder would say, “Shop is a stage” and in an unusual space called shop, to design distance between people will force the staff wearing it to think, “How would I like the customers to look at me, how do I want to show myself to them?”. Functions such as ease of moving and comfort are strengthened and Ippudo-ness that is deep within is relayed in a way that has never been expressed before. We, who are wearing it are excited. NEXT Changing the stereotype of a ramen shop with a uniform.